The waiting list for Kindergarten in 2020 at Cape Byron Rudolf Steiner School will be closed from Friday 15th of February 2019. Any applications received after this for a child eligible for that age group will be added to the list for Enrolment from 2021 and beyond depending on when an opportunity may arise. Please note that the waiting list for Kindergarten in 2020 is already extensive with many more applicants than places available. If your child is not already on our waiting list and you would like them to be considered for Kinder placement in 2020 please complete the online “Intention to enrol form” on our website which can be found via this link, an autoresponse email will then be sent to you explaining how to make payment which will come from our Enrolments email address, please make sure you have entered your email address correctly. If you have entered your email correctly but you do not see this in your inbox, please check your junk/spam folder of your email. Children start Kindergarten in the year they turn 6. 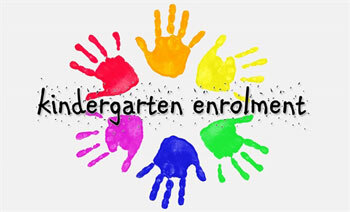 The Kinder enrolment process unfolds typically in term 2 of the year before the child is eligible to attend. It is important to join the waiting list as early as possible to maximise your chances. Date of application is significant so the earlier the better. There are always many more people trying for places than we have to offer so being on the waiting list will not guarantee success at that time, if your child does not gain entry for Kindergarten they are welcome to remain on our waiting list. The form and payment must both be received before Friday, February 15th 2019, no exceptions. If you have any queries please contact the Enrolments Officer Yvette via email enrolments@capebyronsteiner.nsw.edu.au. This is a very busy time for Enrolments so your patience in receiving a reply is appreciated.